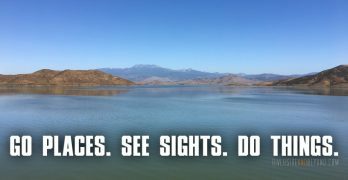 Although the proceedings aren’t posted on the County’s website as of the time I am writing this, I received word that Citrus Heights II was approved by the Riverside County Board of Supervisors on June 30th. The Citrus Heights II tract is just south of the previously approved Citrus Heights development referenced in a previous post. I have also been told that this development will provide the final portion of funding for Street “A”, although the County is still working to acquire a few of the properties needed to construct the street. Tentative Tract Map No. 36475 would construct several public roadways on the site. 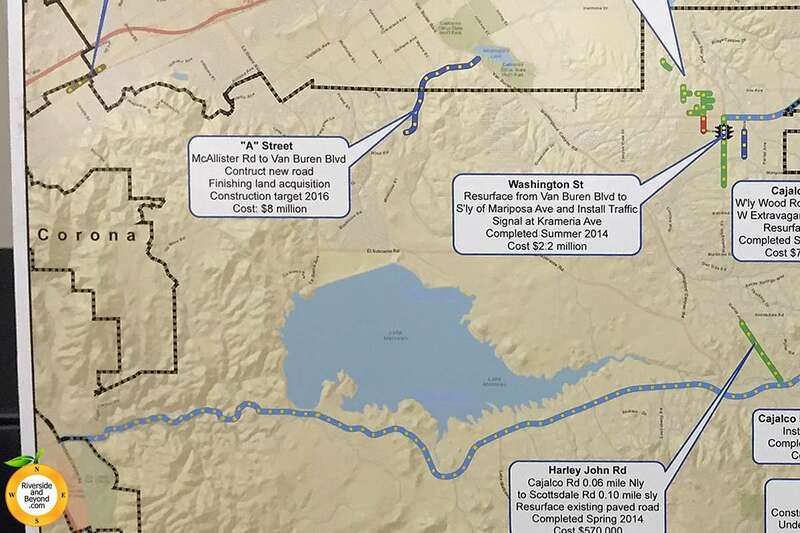 Access to the Project site would be provided via two (2) full access connections from an approved, neighboring development project to the north (TR 36390, marketing name “Citrus Heights”). From Citrus Heights, Project residents would have direct connections to McAllister Street and Street “A”. Street “A” is also known as “Fairway Drive”, an approved public street that will provide a connection between McAllister Street and Van Buren Boulevard. In 2012 the Board of Supervisors authorized Fast Track status to the adjacent SP325 and this project site in recognition that both projects are causing the construction of Street “A”, which will not only provide access to these projects but which also greatly benefits the adjacent communities of Victoria Grove, the Orchard, and other properties around McAllister Street by bringing a connection to Van Buren Blvd. TENTATIVE TRACT MAP NO. 36475 is a Schedule “A” subdivision of 168.33 acres into 171 residential lots on 79.83 acres, two water quality/detention basins on 5.26 acres, four park sites on 3.78 acres, and 21 open space lots encompassing 50.56 acres. In addition, 29.31 acres will be dedicated for on-site infrastructure development (Streets “A” through “R”). Lot sizes for the proposed residential units will range from 14,010 sq. ft. to 116,073 sq. ft. with a minimum lot size of 12,101 sq. ft. Previous posts about the Dufferin Closure, “A” Street / Fairway Drive and Citrus Heights topics can be found by clicking on the “dufferin closure” tag.